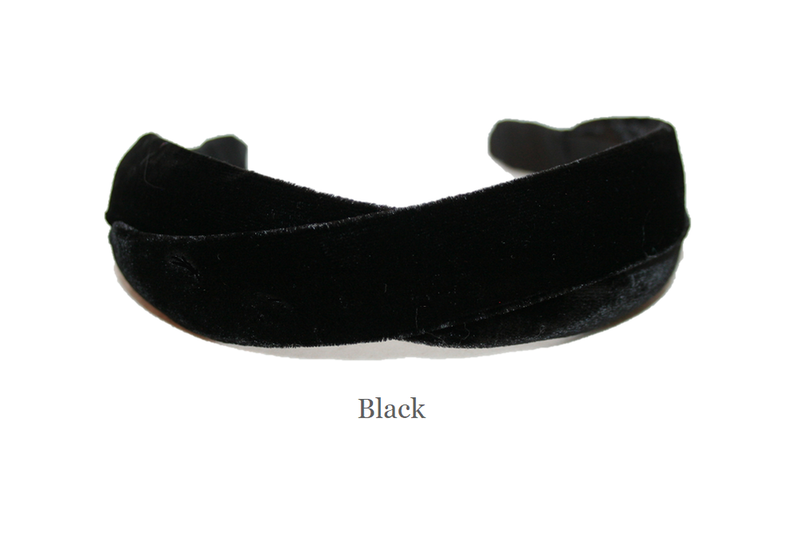 This 1" silk velvet headband is a MUST. We line the velvet with crinoline to not only keep its shape but the 'cupping' of the velvet gives a bit of height and is luxuriously comfortable. 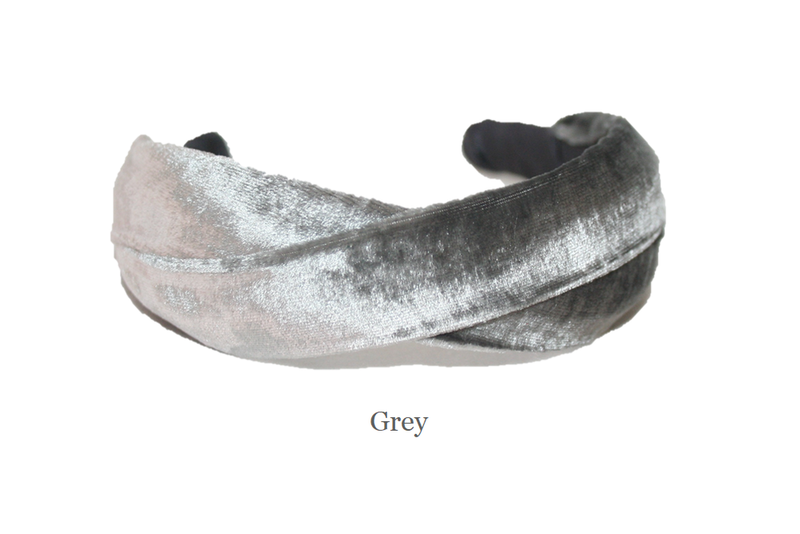 A flexible French headband underneath ensures ultimate comfort and the texture of the velvet helps keep this piece securely in your hair without slipping. 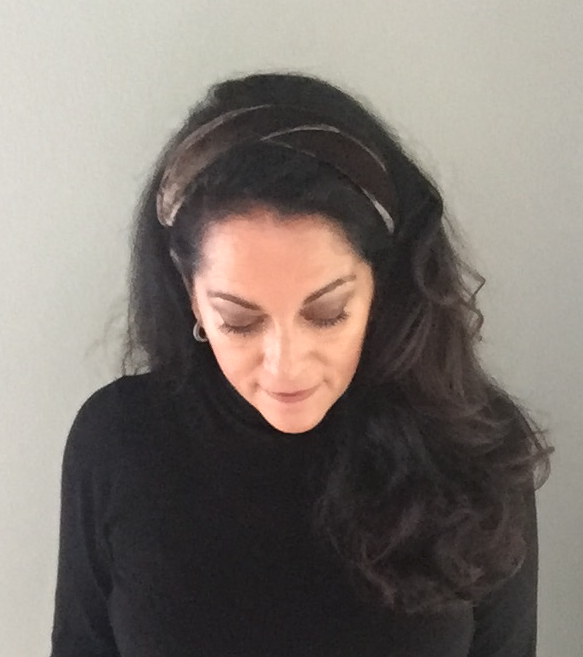 This headband measures 1” in the center and 1 3/4” at its widest point on the sides. Shown here in our new red velvet and on our model in grey, beaver, and navy.